Combine all ingredients with ice and shake vigorously. Strain into an empty vessel and dry shake for 30 seconds. 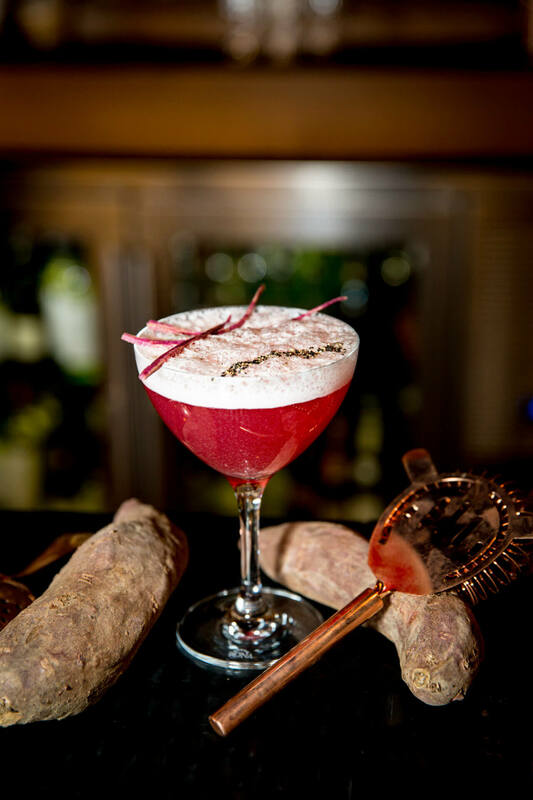 Pour into a chilled coupe glass and garnish with purple sweet potato batons and a sprinkle of cracked black pepper. Place sweet potatoes, lemon and black pepper in a large bowl and toss gently. Cover with sugar and wrap in cellophane. Allow to rest in a cooler or refrigerator for 2-3 days. After resting, strain off the liquid and mix with an equal ratio of rice wine vinegar. Pour into a container, cover, label and date. Store in a cooler or refrigerator, shelf life is 30 days.